2018 Colder By the Lake Champions! 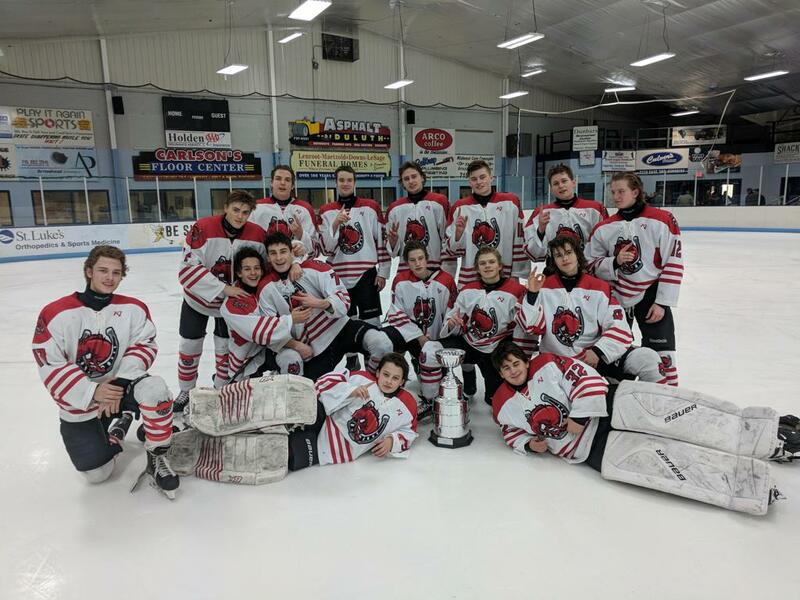 After 5 well-played hockey games in and around Duluth and Superior, the Stillwater Junior Gold 16 Black team took home the title in the 2018 Colder By the Lake tournament, a 22-team affair that included teams from across Minnesota and 3 Canadian teams. The Ponies compiled the best point total in the 4 pool games, defeating Farmington 8-1 and White Bear Lake U16 11-3 on Friday. The team continued their high level of play in defeating White Bear Lake Jr Gold B 9-3 and Moorhead 5-1 on Saturday. The team entered the final day of head-to-head play as the #1 seed, matched against the #2 seed Fort Francis Midget Canadians. The Ponies started the game in convincing fashion, racing out to a 3-0 lead after the 1st period, a highlight including goalie Mason Day turning away a penalty shot. The team picked up a goal in both the 2nd and 3rd periods before surrendering a late goal to Fort Francis with less than 3 minutes to play. The Junior Gold 16 Black team has now placed 3rd in the Edina John Reimann tournament and won the Hudson Raider Cup tournament this season. Congratulations!